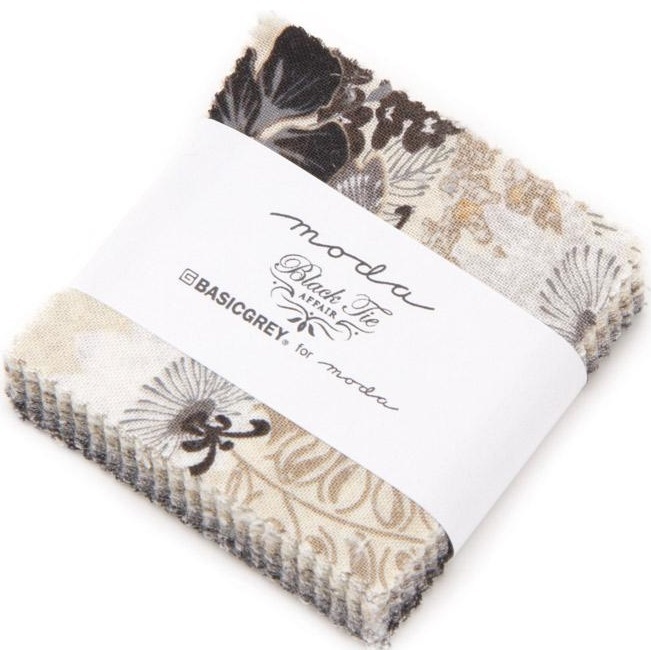 Moda Black Tie Affair Mini-Charm 30426MC. 42 - 2.5" squares. Mini Charm Pack includes duplicates of some prints. 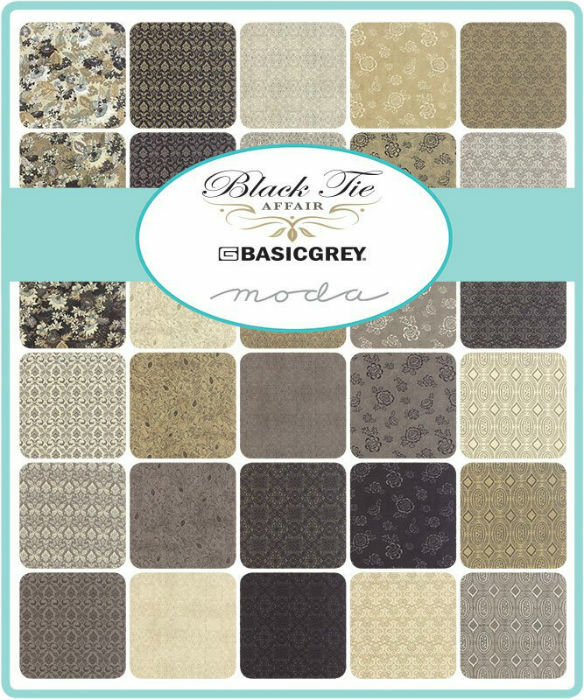 Bursting with confident sophistication and rich style, this classic collection of blacks, greys, tans, and creams will upscale any project. Mini charm packs include assortments of 2 ½ inch squares you can use in a variety of quilting projects. 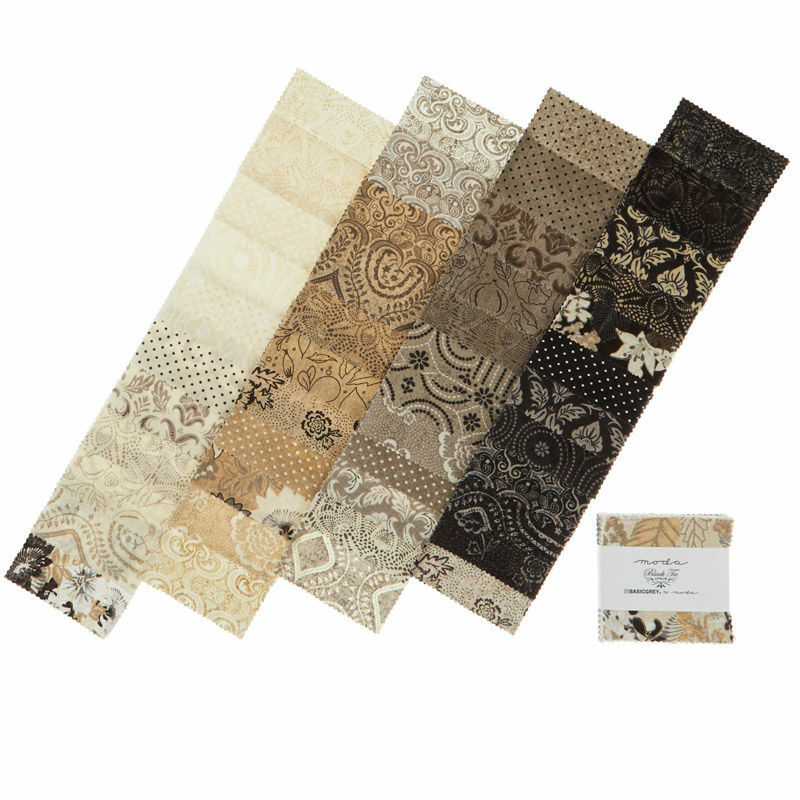 Coordinate them with other precut fabrics or use them on their own for intricate piecing projects or scrap quilts. Using precuts like fat quarters, jelly rolls, charm packs, and layer cakes takes a lot of the work out of quilting! 100% cotton.